Published: Aug. 2, 2012 at 11:39 a.m.
Well, that didn't take long. NFL Network learned Thursday that the sale of the Cleveland Browns to businessman Jimmy Haslam has been completed, less than a week after the possibility first surfaced. Haslam is the president and CEO of a Tennessee-based operator of travel centers. He has been a minority investor in the Pittsburgh Steelers since 2008. NFL Network also has learned that former Philadelphia Eagles president Joe Banner will be a part of Haslam's management team. Lerner will sell 70 percent of the Browns to Haslam now, with the other 30 percent reverting to him four years after the closing date, a person with knowledge of the sale told the Associated Press. The move ends Randy Lerner's tenure as Browns owner. 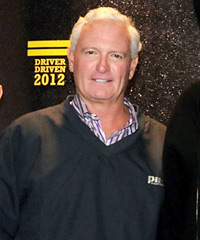 Lerner took over in 2002 when his father Al died, exactly four years after Al Lerner was awarded the expansion franchise. The move will be met with some excitement in Cleveland by Browns fans frustrated with losing under Lerner. The franchise has only won more than six games three times in the 13 years since the franchise restarted in 1999. With Haslam and Banner in place, the future of Browns president Mike Holmgren remains very much up in the air. It would not be a surprise if we learned Holmgren's future soon. The new era of Cleveland Browns football starts now.